BAAR, Switzerland: August 28, 2018: Veeam® Software, the leader in Intelligent Data Management for the Hyper-Available Enterprise™, today announced that it has expanded its collaboration with Ciscoto deliver Veeam High Availability on Cisco HyperFlex™ – a new, highly resilient data management platform that provides seamless scalability, ease of management, and support for multi-cloud environments through Cisco support services. “Our partnership with Cisco has only continued to strengthen and expand,” said Peter McKay, Co-CEO and President at Veeam. “We are Cisco’s ISV Partner of the Year and have had strong market success winning together, and now we are collaborating on this new solution to meet customer demand for even more innovative ways to modernize their data centers. Veeam Availability on Cisco HyperFlex responds to feedback from large enterprise customers and service provider partners who have asked for additional integrated solutions with Cisco. Customers will have the benefit of purchasing from one vendor as this solution will be offered directly from Cisco. 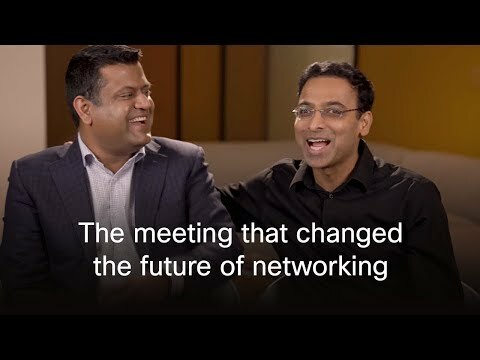 We look forward to working closely with the Cisco team to serve large IT environments that are seeking better ways to ensure the resiliency of their IT systems. The new Veeam Availability on Cisco HyperFlex will be offered through Cisco and is backed by Cisco Solution Support, which provides support for the entire solution stack, enabling customers to deploy with confidence and peace of mind. Veeam Availability on Cisco HyperFlex is expected to be generally available in the fourth quarter of 2018. For more information, please visit https://go.veeam.com/availability-solution-cisco-hyperflex. “In a 451 Research - Voice of the Enterprise: Storage, Budgets and Outlook poll at the end of 2017, we found that the majority HCI customers want integrated DR/BC and Data Backup capabilities to be part of their next-generation infrastructure. The increasing adoption of scale-out, software defined storage provides an opportunity to redefine and simplify data protection and sets the stage for close partnerships—like this new one between Cisco and Veeam--to deliver HCI systems offering evolved and seamless DR/BC capabilities.” - Steven Hill, Senior Analyst of Storage Technologies at 451 Research.